Some people will tell you it’s all down to the subject matter. Others will argue that it’s the accuracy of the perspective, or the use of colour, or how well the painter has combined light and shade. But what about composition? Back in 2002, The Guardian reported on a study that took images by Piet Mondrian (famous for his non-representational colour-blocked grids) and altered them slightly with a computer. The two images, one genuine, one fake, were then shown to members of the public. Though you might not expect the average person to be able to detect the difference between two paintings constructed entirely out of lines and squares, over half were able to point out the original every time. Somehow, they just knew which composition was superior. While it is certainly true that great painters are incredibly skilled when it comes to subject matter, perspective, colour, light and shade, the real deciding factor at the heart of whether a picture works seems to be composition. So what exactly do we mean when we use that word? Well, it’s not as simple as a prettily arranged selection of objects. At its heart, it all comes down to complexity. An uninteresting drawing or painting focuses on the centre of the image and arranges its elements evenly throughout. An arrangement that draws the eye will combine its elements in a complex way that poses a challenge to the viewer. Another thing to consider is the Rule of Thirds, which is commonly used in photography. 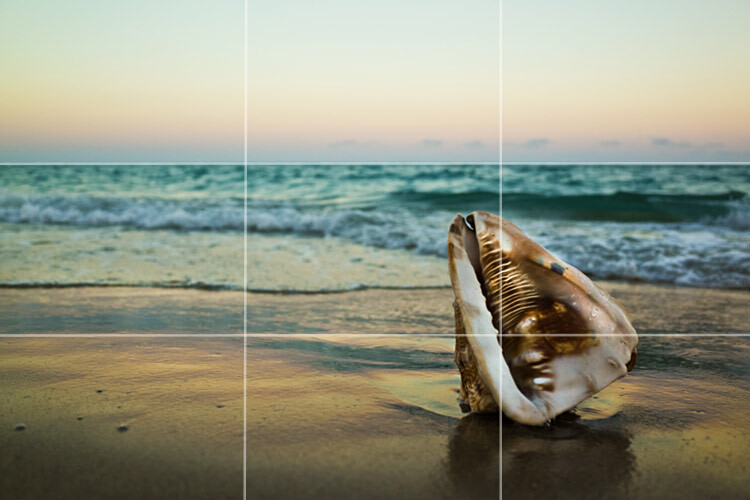 The Rule of Thirds is where you split your composition into three equal sections (with your eye, not a craft knife), horizontally and vertically, and align your elements along these lines. You can see an example of how well this works in the Chardin painting shown here. It’s hard to say why three is the magic number when it comes to artistic composition, or why the eye prefers complexity over simplicity. What is clear, though, is that the Rule of Thirds wins out time and time again – and if you want proof, next time you’re taking a photo of the sea, consider where you’ve arranged the horizon in the image. Chances are, it’ll align with the top or bottom third of the photo without you even thinking about it. Ultimately, the answer to making a great image seems to lie in mathematics. If three is the magic number, then the ratio of 1 to 1.618 is simply divine. Known as the Golden Ratio or the Golden Mean, this mathematical ratio is commonly found in nature and results in a specific type of infinite, repeating pattern that is particularly appealing to the eye. The Golden Ratio creates this kind of composition, which means paintings that use this arrangement are often focused on one off-centre point, with much complex action taking place here. But if all that’s a little too advanced, we can rest easy knowing that – as shown by that Mondrian experiment – humans seem to be born with a natural aptitude for picking out great compositions. Well done us! For more information on how you can turn your favourite images into framed works of art please speak with one of our team at easyframe. Posted by easyframe on 14th August 2017 at 6:54 pm in Blog Posts.